. :M11X & Illroots.com present DJ Low Key – De La Extras #2:. The homie Mikal Hameed aka M11X hit me up a while back to put together a mix for his contribution (pictured on the cd cover above & flyer below) to the now-in-limbo De La Soul – 3 Feet High & Rising Art Tour. 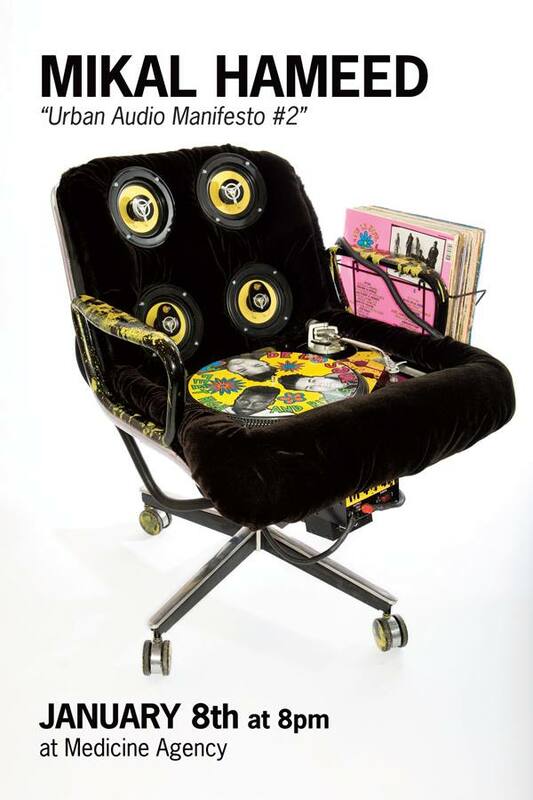 Mikal does “sound sculptures”, pieces of art that can play music from either ipods or turntables and needed something to play on his De La Soul chair. De La is my favorite group ever, so I was happy to put together a mix of rarities, remixes, guest spots, bootlegs & b-sides that’d please the craziest of De La fanatics for him. Anyways, the De La art tour is still up in the air, but M11X is about to hit the road for some solo shows, so we decided to drop the tape with our homies from Illroots.com on New Year’s Eve as one last tribute to De La as they close out their 20th year in the rap. The tracklist and links are below and last but least, if you’re in the Bay, make sure to check out M11X’s “Urban Audio Manifesto #2″ show in San Francisco on January 8th.
.:M11X & Illroots.com present DJ Low Key – De La Extras #2 (tracked version):.
.:M11X & Illroots.com present DJ Low Key – De La Extras #2 (untracked/podcast version):.